PST Merger Pro tool - merge multiple PST files into one Outlook file. Combine multiple PST files into one with PST Merger Pro. PST Merger Pro allows to merge multiple PST files into a single file. This software can be used to merge email, Calendars, Contacts, and Tasks folders from different data files created in different Outlook versions. This PST merging tool allows to select unlimited PST files even if Outlook data files are separated. PST files can be joined, creating multiple folder hierarchies within one PST file, or they can be merged where matching folders are combined within a new or into an existing PST file. The user can also merge only specified data from the PST file such as, Calendars, Contacts or any other folder from the specified PST file without the need to merge all PST files. Using the Pro Edition of PST Merger, you can also move or copy specified Outlook data from one PST file to a selected PST file. The simple user-friendly PST Merger Wizard allows you to combine Outlook files in a few simple steps. Merging PST files does not require any technical knowledge. With this tool, you can combine PST files safely without damaging the original Outlook PST files. Combine Outlook PST files for easy Outlook data management. Easy deployment and very simple interface. No extra technical skills required. You can merge several PST files just in a couple of easy and understandable steps. 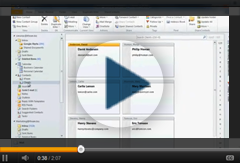 Follow the program wizard to merge, copy or move multiple Outlook files into one PST file. PST Merger automatically combines emails with emails, Contacts with Contacts folders and etc. Combine multiple PST files into a single PST file. Merge, move or copy Outlook file data from multiple PST files into one file. PST Merger safely merges various folders from each PST file, such as, Inboxes, Contacts, Calendars, Tasks, Journals. If data is copied or moved into the connected to Outlook PST file you will access this data straight away from your Outlook profile. In case you have created a new PST file, connect it to Outlook and use all merged data. Create a new Microsoft Outlook PST file to store the merged Outlook data. During the merging process, PST Merger can create a new PST file. Data from the original Outlook files or folders is copied to the new PST file and merged without making any changes to the existing PST files. Combine unlimited Microsoft Outlook PST files. This tool allows merging of any number of Outlook PST files into one PST file. Merge scattered Outlook files into a single PST file with ease. Merge only specified folders of PST files. In case you want to merge only the Contacts folder or any other specific Outlook folder from several PST files, there is no need to merge all massive PST files. By using PST Merger, you can select Outlook folders that you want to merge and combine only the specified data from several PST files. Move or copy selected Outlook folders from one PST file to another. A convenient tool to transfer Outlook file data to another file. Manage your Outlook data by merging different Outlook accounts data into one file and easily access all the data from one place. Keep the current folder structure. Merge Outlook files and retain original folder hierarchy of all mailbox items in the new PST file. If you want to move or copy data from other PST files, select an option to add each PST file as a separate folder structure. This allow you to merge PST files but keep the original PST files structure using the same email account. Fast PST file Merging process. With PST Merger, you can combine multiple PST files in just a few clicks. Even if you have a lot of PST files, to merge those files will take just several minutes. We offer No Risk Money Back Guarantee. If you buy the program and are not satisfied, you will get your money back.